Looking at Evic Wismec Reuleaux 200 and need a tank? Thread: Looking at Evic Wismec Reuleaux 200 and need a tank? Hey I'm new. Thinking bout giving one of these bad boys a try but don't know what tank to get with it? Get a VCMT 30mm, that's how real men vape. steve.c, akef38, Mr Young and 2 others like this. sams and trumpy955 like this. The Evic and the Wismec Reuleaux are 2 different mods. Which one ar you looking at? The evic VT is a bad mod with a worse interface and I wouldn't touch it with a 10 foot pole. The Evic Mini on the other hand is awesome single battery mod that's pocet friendly and can accomodate all 22mm attys. The Reuleaux is quite bulky and takes 3 batteries, but can accommodate bigger diameter attys. Bulky but still feels good in the hand. I usually have a tfv4 on mine. However, that vcmt looks alright. What a deck. I love my wismec reuleaux! In terms of tanks i generally use a TFV4 with quad coils at 80+ watts. I have ordered a few of the new crazy quad clapton and eight coil TF-T8's to try. Arctic V8 is another i just ordered but have not tested yet. 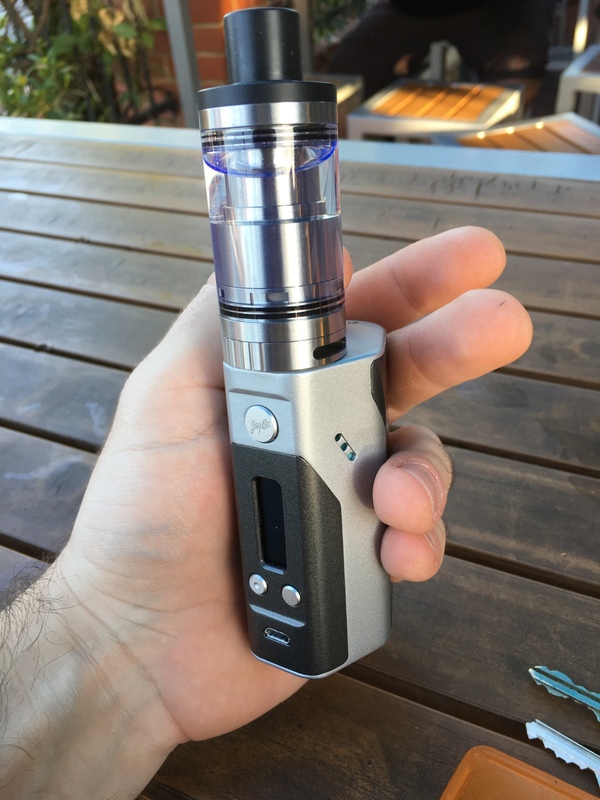 I use uwell crowns on my RX200 - quenches my vaping needs. Waiting on the RBAs for them from Fasttech... been rebuilding the stock coils to date.